Should I get legal advice before signing an insurance settlement? Yes, because insurance companies will always try to save money. They often use a tactic known as “swoop and settle.” Insurers will offer a certain amount of money to settle a claim. The amount might seem to be substantial, but it is often very small compared to what you might be able to get in court. If you agree to the offer, you might well be settling the case for well below what it is worth. People who have been injured often have not retained a lawyer when insurance companies try to settle with them. Without the advice of a lawyer, an inadequate settlement is more likely to occur. Elderly people, the poor, and people who do not speak English are particularly vulnerable to this strategy, but anyone can fall victim to it. Remember, when you sign a settlement agreement with an insurance company, the claim is over. You cannot go back and ask for more. If you are involved in an accident, remember the statute of limitations in Texas is two years. You have at least that amount of time to think things over and fight for your best option. A trusted personal injury attorney can advise you if you should take the settlement, or fight the case further in order to maximize the value of your claim. In most cases, there is no need to worry about the cost of hiring an attorney. Often, attorneys will take personal injury cases on a contingency basis, which means that you do not pay until the case has been litigated and you have received your settlement. This is the best way to ensure that you end up with a fair compensation that covers your full needs. These are just a few things to keep in mind as you search for the right personal injury attorney. For more information, I invite you to visit my website at: www. 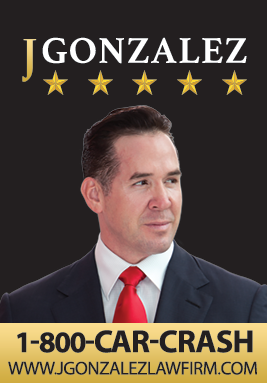 jgonzalezlawfirm.com. Your health and your recovery should be your main priority. Mine is to fight on your behalf to get you the compensation you need to get back on your feet.